The peppery cumin spice appeared in the Bible as a seasoning for soup and bread. The seeds were paid to priests. And in ancient Egypt, cumin was used to preserve the mummies of pharaohs. Now a new study shows cumin may also help you finally burn off those extra pounds. Researchers in Iran wanted to know the effect of this ancient spice on body composition as well as blood fat levels. They randomly assigned 88 overweight or obese women to one of two groups. Both groups followed a reduced calorie diet and received nutrition counseling. But one group ate yogurt with three grams of cumin spice twice a day. The other group ate plain yogurt. After just three months, the cumin group members on average lost almost 50% more weight than the control group. They also decreased their body fat percentage by 14.64% or almost three times the control group’s loss.The cumin group also lowered their body mass index and waist circumference significantly more than the control group. The authors speculated that cumin benefits weight loss because of its heat. It may temporarily increase metabolic rate. Cumin also significantly reduced blood lipid levels. Triglycerides dropped 23 points compared to only five points in the control group. And LDL cholesterol dropped an average of 10 points compared to less than one point for the controls. Cumin contains more than 100 different chemicals including essential fatty acids and volatile oils. The researchers believe the cholesterol lowering effect of the spice can be partly attributed to its glycoside saponins. These compounds prevent cholesterol absorption and increase its excretion. The cumin spice also contains a substantial amount of phytosterols that may positively modulate lipids by reducing cholesterol absorption. The authors suggested that supplementing with cumin could effectively reduce triglycerides and cholesterol as well as reduce risk factors for metabolic syndrome. [Note: we do not believe that low cholesterol is necessarily a good thing; to the contrary, it cholesterol deficiency may damage your health]. Cumin spice is native to Egypt. For thousands of years, it has been cultivated in the Middle East, India, China and Mediterranean countries. It belongs to the same plant family as caraway, parsley, and dill. In fact, the cumin seed resembles caraway but the taste is quite nutty and peppery. 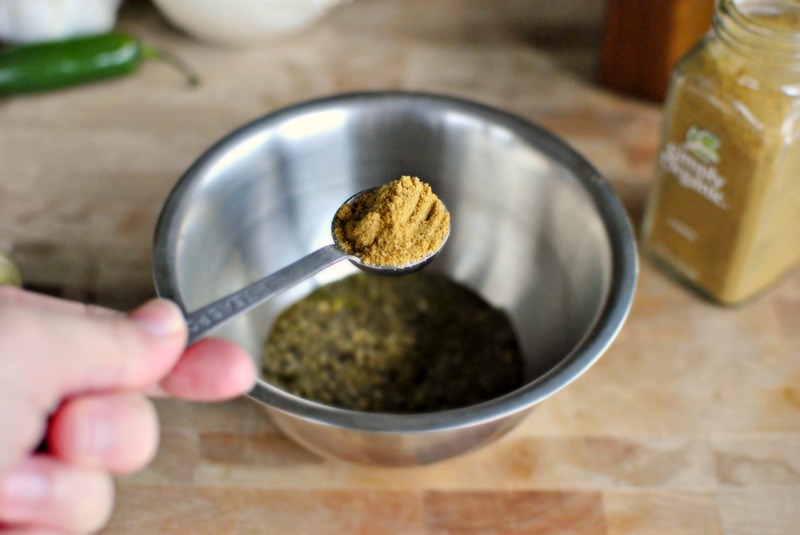 You’ll often find cumin spice as an ingredient in curry powder blends. It’s popular around the world and is found in Mexican chili as well as Indian and Middle Eastern cuisines. Like most spices, cumin has a long list of potential health benefits. A 2008 animal study in the journal Experimental Biology and Medicine showed that cumin seeds inhibited loss of bone density and strength as effectively as estrogen. But unlike estrogen, cumin did not promote weight gain or uterine cancer. Traditional medicine used cumin seeds to support the digestive system. Modern research shows that cumin may stimulate the secretion of pancreatic enzymes, acids, and bile necessary for proper digestion. The essential oil of the cumin plant also contains a compound called cumin aldehyde that activates salivary glands to help predigest food. It also relieves gas and improves appetite. And it offers relief for IBS symptoms. Other studies show that cumin may enhance memory function. It also has a broad range of antimicrobial powers. Add cumin to the pot when you’re cooking soups, stews, chili, rice, beans, or lentils. Sprinkle cumin on vegetable sautés. It goes well with sweet potatoes, carrots, squash, and cauliflower. Add to marinades, salad dressings and mayonnaise. Sprinkle on roasted nuts or chickpeas. Add to the meat mixture when making meatloaf, meatballs, or hamburgers. Beat into scrambled eggs before cooking. Buy some cumin seed tea or brew your own by boiling the seeds in water and letting them steep for 10 minutes. This article was republished with permission from foodrevolution.org.